ELKHART, IN Aug 2008 – Damon Motor Coach is introducing their much-anticipated Damon AVANTI fuel-efficient, clean diesel at upcoming shows starting at the Hershey RV Show September 10-14. Dealers and some media got a sneak peak at the AVANTI at Damon’s annual dealer meeting held recently at their headquarters in Elkhart, IN. “They loved it and can’t wait to get it. They told us that this is exactly what the industry has been waiting for,” said Matt Thompson, vice president of sales for AVANTI. Beyond its remarkable fuel mileage, the AVANTI has an eye appeal like no other. “The inside and out have been beautifully influenced by European and luxury yacht-type styling,” Thompson said. 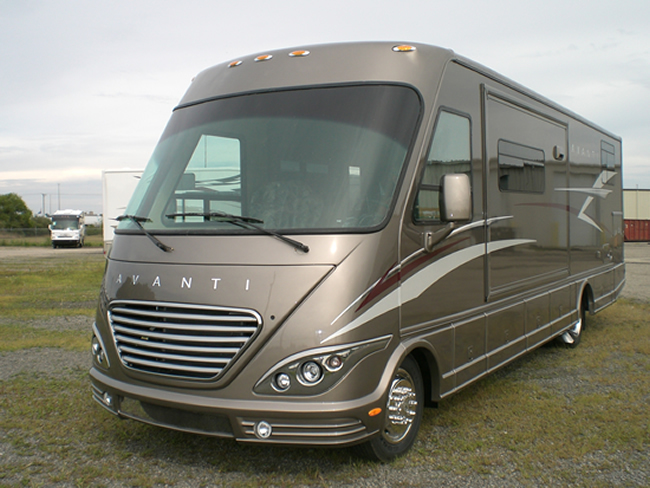 The AVANTI will be on display at Hershey in early September, RVDA in Las Vegas at the RIO September 23-25, and Pomona RV Show October 10-19. 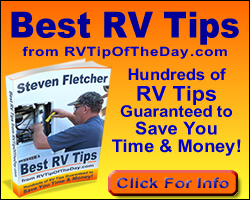 Damon Motor Coach designs and manufactures a full line of affordably-priced, quality built Class A motorhomes. Damon is a subsidiary of Thor Industries, Inc., Jackson Center, OH the world’s largest manufacturer of recreational vehicles.